Interested in hearing about upcoming concerts? 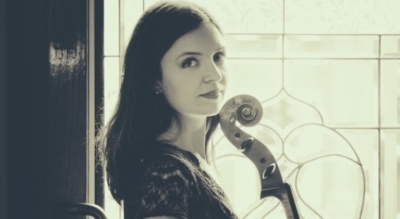 Cellist Catherine Little is a creative thinker who enjoys problem solving and the spirit of discovery. Catherine draws inspiration from her teachers and students, all different genres of music, and life itself. Her work on stage and in the studio is passionate, sensitive and imaginative. Catherine has professional experience playing with several orchestras and large ensembles, in major musical theatre productions, on a number of recordings, and on film. She is currently a member of the Cape Breton music-inspired Baroque N’ Fiddle String Quartet (Celtic music in a classic string quartet), the classically bent Basso Nova cello/bass quartet, and The Maudes, a classically informed folk-style string duo. Catherine holds a Bachelor's and a Master's degree in music performance from Wilfrid Laurier University and the Université de Montréal. She currently lives and works as a performer and music teacher in her native Nova Scotia.